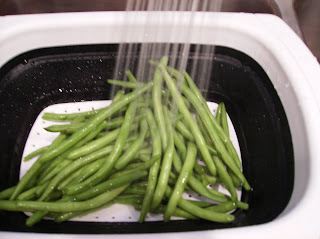 2.Clean the beans and strain them. 3. 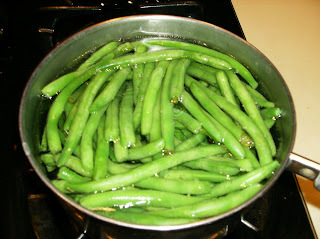 Blanch (Boil in a pot of water) for three minuets, then wash them again using cold water. 4. 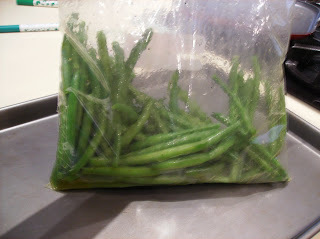 Throw 'em in a plastic bag with the oil, salt, and pepper and shake them up. 5. Wrap about 4-5 beans in half a strip of bacon. 6. 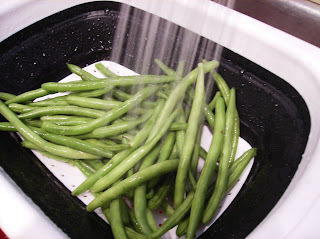 Bake in oven for 10-15 minuets. And Whala! 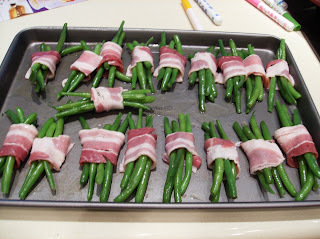 Beautiful beans wrapped in delicious bacon! Enjoy this dish!